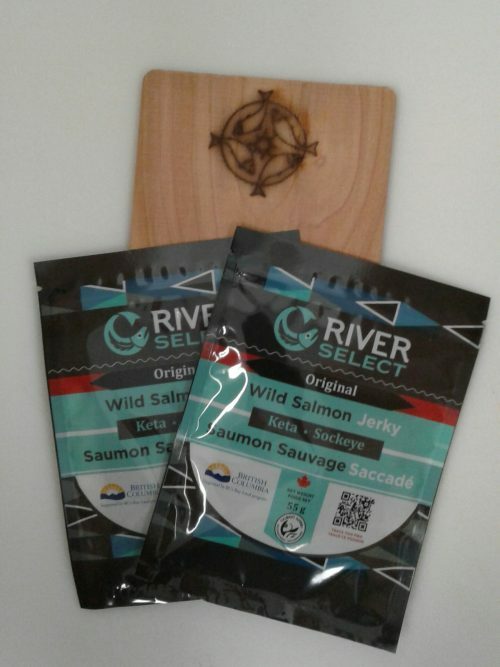 River Select presents a new line of wild Salmon Jerky featuring Ocean Wise recommended salmon from BC’s greatest rivers. Each Salmon is smoked with spices and herbs and then dried. 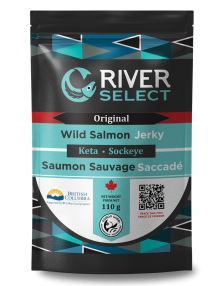 Our Salmon Jerky is great for an energy boost on the trail and a convenient on-the-go snack. 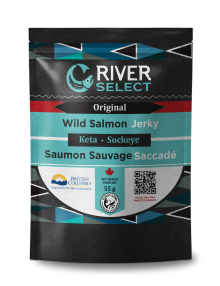 Ingredients: Wild Keta Salmon and Wild Sockeye Salmon, sugar, yeast extract, spices & herbs, garlic powder, salt, natural smoke flavour. A new line of wild salmon Spicy jerky featuring Ocean Wise recommended salmon from BC’s greatest rivers.